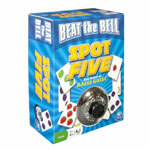 Beat the Bell Spot Five is the fast-paced card game that takes sharp eyes and quick hands to win! Spot Five exactly and be the first to ring the bell! Beat the Bell Spot Five is the thrilling “Five of the Same” fruit racing game. It’s fun and easy for the whole family to play. Each player simultaneously flips their cards in front of them onto the table, one by one. Watch closely and think quickly: do you see a combination of players’ cards that totals exactly five of the same fruit? If you Spot Five exactly, be the first to ring the bell and you’ll earn all of the cards that have been turned over since the last winner beat the bell. But don’t slip up: if you ring the bell and you’re wrong, you have to give each player one of your cards as a penalty. If you Beat the Bell and Spot Five enough to earn the most cards, you win the game! Beat the Bell Spot Five is the fast-paced card game that takes sharp eyes and quick hands to win! Players simultaneously flip their cards one by one. Think fast: do you see a combo of all players’ cards totaling exactly five of the same fruit? If you Spot Five exactly, be the first to ring the bell and you’ll earn all of the cards played! Earn the most cards and you win the game! 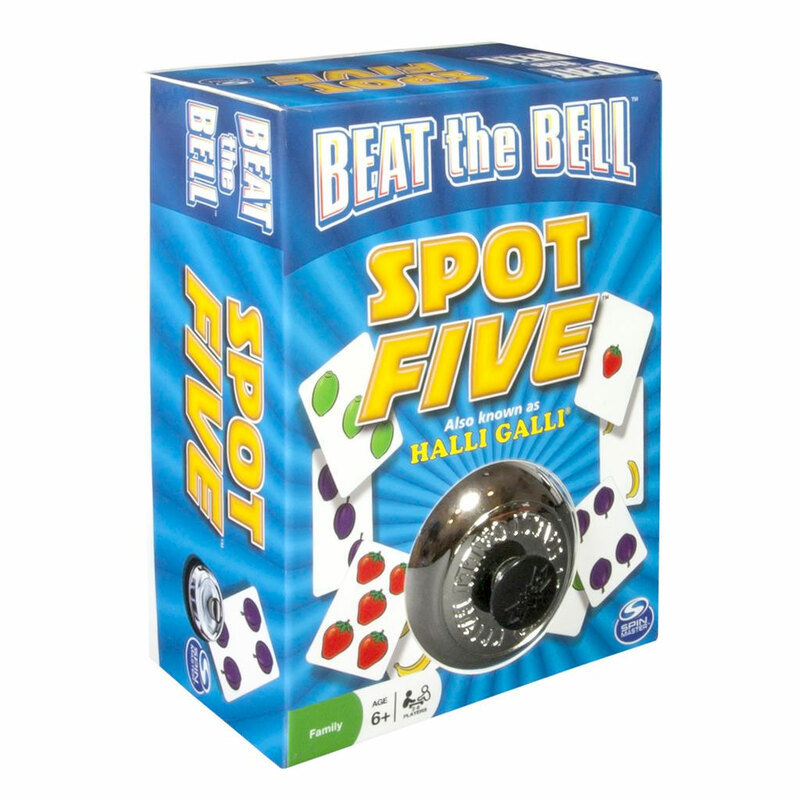 Beat the Bell Spot Five is for 2-6 players ages 6+.